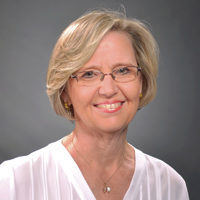 Susan Tomlinson joined the CCGD staff in 2008 as Administrative Assistant. In 2009, she became Operations Director and serves as the primary interface for over 350 chorus families. Mrs. Tomlinson brings to CCGD organizational and leadership skills garnered from a background as an executive and legal secretary, a homemaker, and various leadership capacities over fourteen years in elementary, junior high, and high school PTA’s.